After years building his reputation as a formidable martial artist, fearless stuntman, and gifted physical comedian in the likes of Drunken Master, Dragon Fist, and The Young Master, Jackie Chan prepared to introduce himself to the world, by writing, directing, choreographing, and starring in Police Story. Without wanting to overstate things, it is one of the most insane action movies of all time. The film sets it stall out in the opening scenes, where an entire town is destroyed by a car chase. It is the sort of balls-out bonkers action you would see nowadays in the Fast and Furious franchise, but accomplished without any special effects or health and safety. Police Story is notorious for the number of stuntmen, including Chan himself, who were hospitalised during the shoot. It is cinematic carnage in its purest form. The plot – though largely incidental to the propulsive and ever-escalating series of action sequences – sees Chan’s police detective Ka Kui trying to bring down a crime lord and protect the key witness (Brigitte Lin), whilst also attempting to maintain a relationship with his girlfriend May, played by future superstar of Hong Kong cinema Maggie Cheung. The ingenuity of Jackie Chan as a choreographer and performer is truly something to behold. He has the ability to effortlessly combine his great Hollywood influences, silent cinema and screwball comedy, with the violent martial art cop thrillers of the Hong Kong tradition. 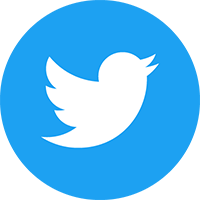 Inevitably some of the comedy has gone a bit overripe in the intervening decades, but worry not, just give it a few minutes and some goon will be getting fly-kicked out of a window. Of course the trademark slapstick humour is fun, but you’ve come here for the action, not the chuckles. And you’re in luck, because Police Story culminates with one of the most glorious, sustained sequences of heart-stopping action ever committed to film. Set in a shopping mall, Ka Kui is hunting down the crime lord, but must first defeat a seemingly never-ending crew of henchmen. The ensuing fight features escalators, huge leaps, bone-breaking falls, unbelievable kung-fu, motorbikes, more heads being smashed through glass than you can count, and a final stunt so dangerous and audacious they show it three times. It also sent Chan to hospital with second-degree burns, a back injury, and a dislocated pelvis. Police Story 2 delivers more of the same, though if I’m honest the action isn’t quite as impressive. Don’t get me wrong, it’s still completely nuts, but doesn’t come with the same chaotic thrill of the original. This is perhaps a result of the more subdued tone of the sequel. What is impressive however, is the vast selection of special features included in this limited edition box set. The first disc comes with three different cuts of Police Story. There is the original 100-minute version, which has undergone a stunning 4K restoration. It has brand new subtitles, but also comes with the option to watch the film with an English dub taken somewhat surprisingly from a Dutch VHS release. Also on the disc is the extended Japanese version, originally released exclusively on Laserdisc only in Japan. This has now been transferred to HD, and makes its UK debut with English subs on this disc. As if that weren’t enough, you can finally see the version our American cousins have been enjoying for the past 30 years – the 84-minute cut, specifically edited for the American home video market. It is presented here in SD, and comes with a completely different dub track, and a funky 80s synth score. The dub is terrible, but this version is loads of fun. There’s also some extended action scenes and a few deleted shots. Also included on the disc is a 5-minute promo video of Jackie Chan stunts, the original and 4K restoration trailers for the film, and a 20-minute interview with Chan that has been discovered in the archives. 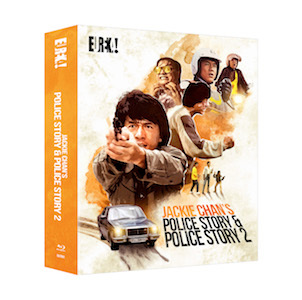 On to disc two, which also comes with three different versions of Police Story 2. The main feature which has been given the 4K treatment is an extended release of the film, with a brand new translation for the English subtitles. You can choose instead however to watch the original Hong Kong version. This is the original cut, with a more condensed plot, and is presented here in standard definition. Finally, you can also watch the 90-minute edit that was released for the UK VHS market. Although in fairness, this is probably the version you grew up watching. There is also a phenomenally cool piece of bonus content in the shape of an episode of the The Incredibly Strange Film Show, which ran for two series on Channel 4 in the late 80s. It was a show presented by Jonathan Ross, exploring the films and personalities of cult filmmakers like John Waters, Jodorowsky, and Lynch. In the episode presented here from the second series of the show – renamed as Son of the Incredibly Strange Film Show – Ross goes to Hong Kong to meet Jackie Chan during the filming of Miracles – Chan’s action remake of Capra’s Pocketful of Miracles. Wonderful stuff.